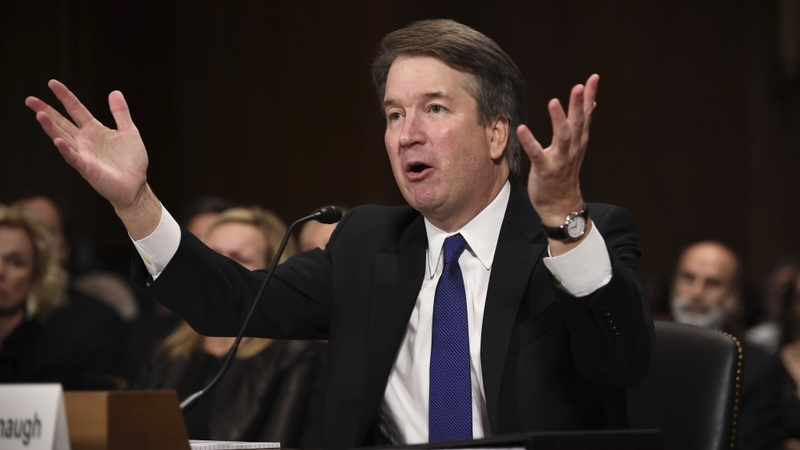 Kavanaugh graduated form Yale law school in 1983 and started his legal career under former independent counsel Kenneth Starr, who carried out the probe that eventually led to former US President Bill Clinton’s impeachment in 1999. A devout Catholic, Kavanaugh is expected to entrench conservative control of the court for a generation, as he becomes Trump’s second appointment to the nation’s highest judicial body. Conservative judges will have a 5-4 majority in the court over liberal justices. He is well-known for his views against abortion and gun control, supports the second amendment – which gives US citizens the right to bear arms – and dissents ban on semi-automatic weapons. Critics view him as a threat to the future of legal and safe reproductive healthcare. Some believe he might try to overturn the Roe versus Wade case which gave women nationwide right to abortion in 1973. He has issued rulings against environmental regulations passed by former President Barack Obama with regards to air pollution and climate change. After Kavanaugh’s name was put forward as a potential nominee for the vacant position on the court, Ford came forward with allegations that Kavanaugh had sexually assaulted her under the influence of alcohol when they were in high school. The contentious committee hearing was followed by a limited FBI investigation into the allegations, that concluded ahead of Saturday’s vote.